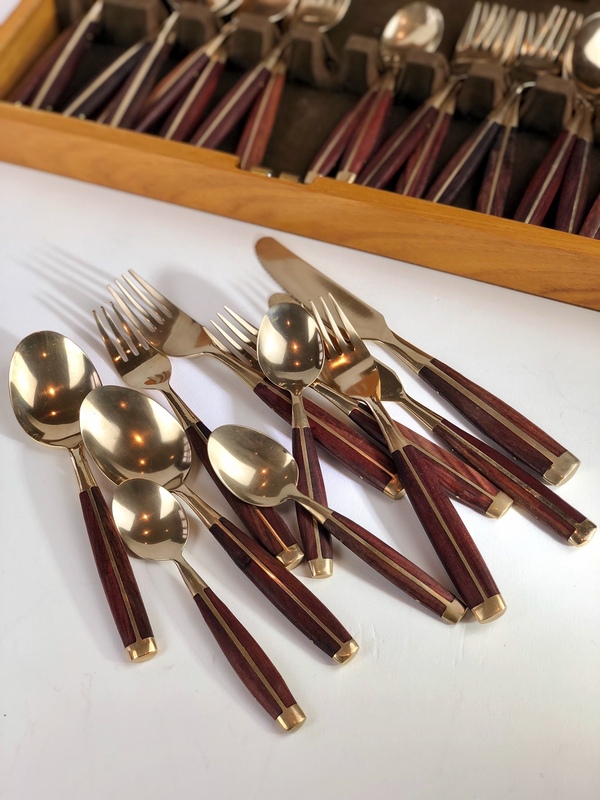 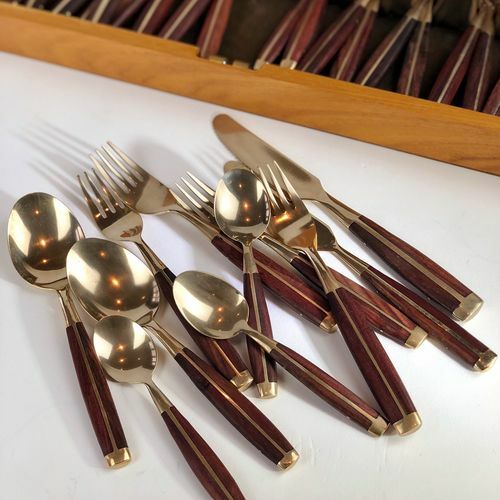 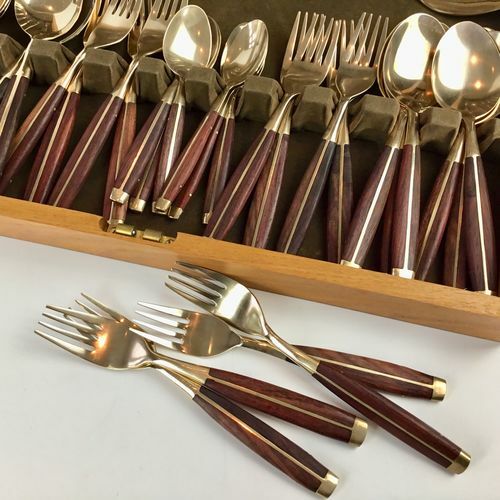 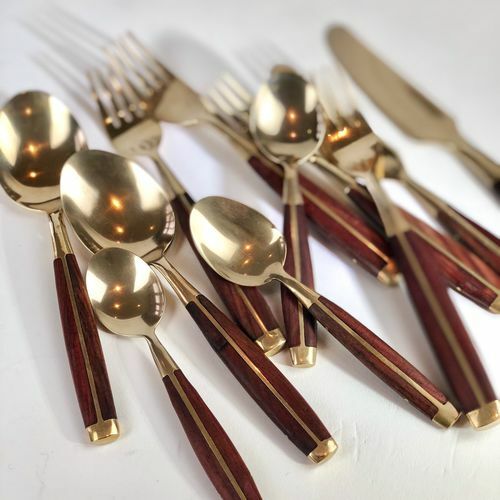 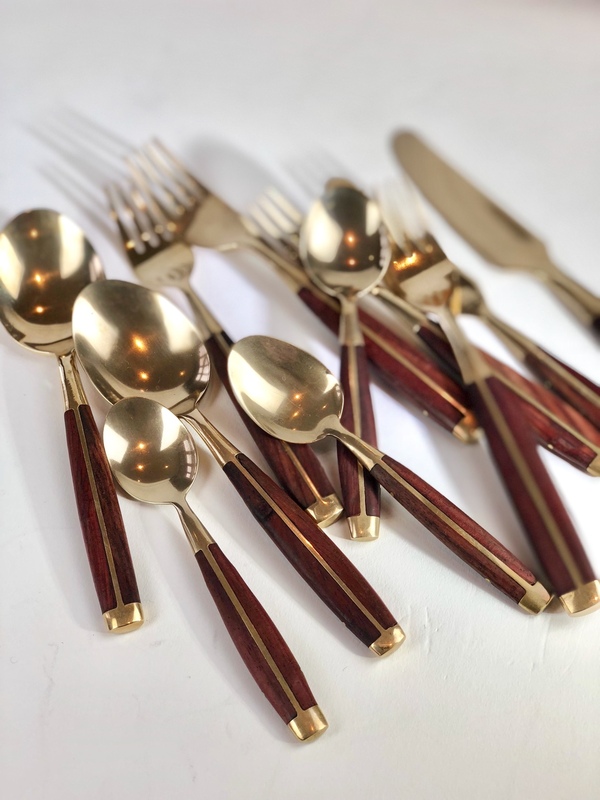 An excellent quality canteen of solid bronze and teak handled cutlery for six people (44 pieces in total including two serving spoons). 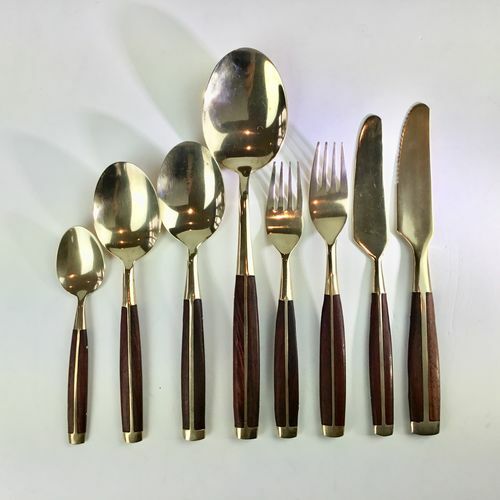 Mid 20th Century, Thailand. 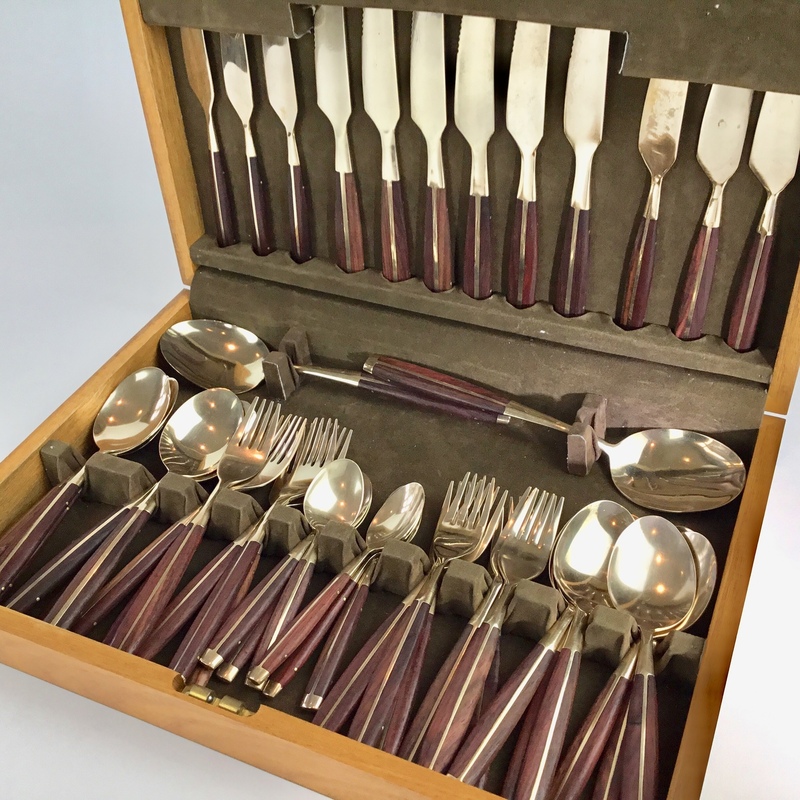 Complete with solid teak storage canteen.